With the LEGO WeDo Robotics System, students will build and learn to code their robotic creations. Designed by the experts at M.I.T., this unique system teaches children about simple machines, engineering, programming and so much more. 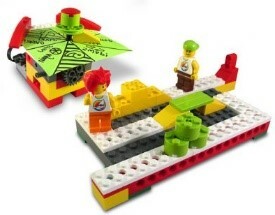 Students working in teams will program and modify robotic models using Lego’s intuitive drag-and-drop interface. After buildings models, students will be walked through coding exercises, and then challenge to improve and modify the drag and drop WeDo code.